USHA members met at the Mercure Hotel Cardiff to look at Safety Management within the sector. Topics covered included BS 9999 2017;PAS7;the fire risk challenges in historic buildings and collaborative working with Fire and Rescue Services. There was a record attendance of delegates, the highest in the last 7 years, as well as scores of new exhibitors who supported the event. One of the highlights was the networking dinner with TV Celebrity David Meade. Record numbers attended this year’s Spring Conference held at the Hilton City Hotel Leeds. It looked at ‘ New Horizons in Higher Education: meeting the health and safety challenges’. Speakers covered wide ranging topics from the legal implications leaving the EU, the HSE’s expectations for the future, an ageing workforce and generational issues, having flexibility to encourage growth and emergency planning at critical incidents. The Gala dinner was held in the Great Hall at the University of Leeds with delegates being entertained by comic impressionist Alistair McGowan. Here is an opportunity to involve young people into the upcoming XXI World Congress on Safety and Health at Work – Global Forum for Prevention which takes place 3 – 6 September 2017 in Singapore. 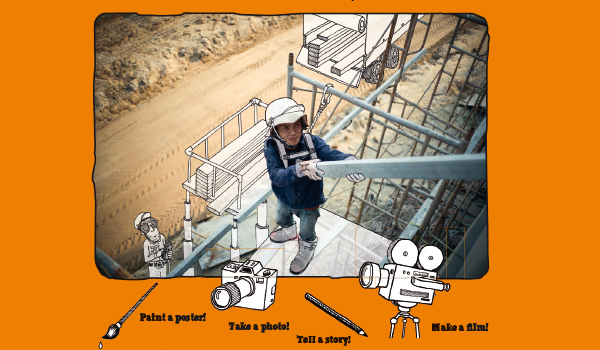 Thanks to the ILOs SafeYouth@Work project young people can submit an entry for a contribution to the SafeYouth@Work Media Competition and/or submit a candidacy as a Youth Champion to the SafeYouth@Work Congress. Organisers are looking for a promising young person who could bring the message of safety and health at work across to their national and international peers. The ILO wants to raise awareness and help prevent workplace accidents and diseases. What are young people thinking and saying about safety at work? There are six categories: film, photo, poster/drawing, song, story and surprise us. The competition is carried out together with the International Media Festival for Prevention and the XXI World Congress on Safety and Health at Work in Singapore and is open to youth all around the world, aged 15 to 24. Submission deadline: 30 June 2017. Of the 529,000 incidents attended by Fire and Rescue Services in England last year, 40% (214,000) were false alarms, according to recently released by Government figures. The stats also show an increase in ‘non-fire incidents’ attended by crews, largely attributed to a spike in attending medical emergencies. Deliberate fires accounted for 45% of all fires in 2015/16, an increase of 8% on 2014/15 figures. The statistics also show that there were 303 fire related fatalities and 7,661 casualties. Topics covered in the release include the causes of fires, the use of smoke alarms, the seasonality and temporality of fires and other topics of interest to the fire statistics community. The Fire Statistics Monitor provides updates on key variables such as the number of incidents attended, fires attended, fire-related fatalities and casualties. Held at the Barbican London it was supported by the student services association AMOSSHE and Universities UK. The Right Honourable Norman Lamb MP Chair of the Cross Party Committee on Mental Health and Paul Farmer CBE Chief Executive of MIND spoke of the need for the right level of needs for mental health counselling in Universities . 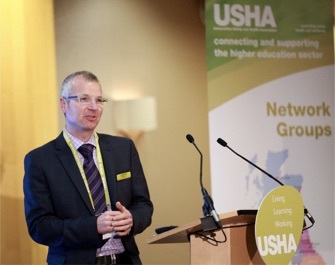 The Assistant Director of Policy for Universities UK John de Pury told USHA, “UUK was keen to be part of such an important event and I especially welcomed the chance to engage with an experienced and expert audience”. Can you honestly get a person with reduced mobility out in an emergency or if a lift breaks down? A person with reduced mobility is entitled to be evacuated safely and with dignity. Budgets are so important but what is the cost of not providing the most suitable equipment? Not everyone can or should transfer from a wheelchair, for example. So why furnish your buildings with a number of chairs that can’t cater for the people who need them. It is false economy to not provide the most suitable piece of equipment for the person with the greatest needs. As you are aware every building is different, the stairs and landings different sizes. So choose the evacuation chair that is most suitable. You need specialist chairs for spiral and flared stairs. If your volunteers won’t train on their use or go in them then why should a person with a disability use them? In an emergency you are going to do everything in your power to get a person out safely and it is your responsibility not the fire service. This is well known but still people think the fire service is there to rescue people. I don’t think this will have been put in writing by the fire service! Many new buildings are going higher and higher and a manual evacuation chair is not the best method as the operators are going to get tired and could potentially lose control. Also you may need additional people to take over as people become tired, do you have many people available to assist? Many say over 4 floors then look for powered units as easier to control and the unit is taking the weight not the operator. By having powered chairs as well as manual it gives you the option to use them on a daily basis for access as well as in the event of a lift breakdown. This also applies to lift breakdowns. Evacuation and accessibility should be looked at together as they are linked and you can’t have one without the other. Our powered products enable access and egress on a daily basis as well as emergency. Since 2007, the use of electronic cigarettes has drastically increased worldwide, and more frequently we are being asked how e-cigarette vapour will affect smoke detectors. Studies have shown that e-cigarette particles are typically between 0.25 – 0.45 microns which is comparable to tobacco smoke, however, we must bear in mind, that the particles that reach a smoke detector will not be undiluted; they would have mixed with the saliva in the mouth, creating particle sizes more comparable to steam. Most commercial and industrial fire detection devices have been designed to protect against false alarms caused by steam and dust etc. Therefore, if you have purchased your smoke detector from a reputable manufacturer such as Hochiki, it is unlikely that a small amount of e-cigarette vapour will cause your device to go into false alarm. 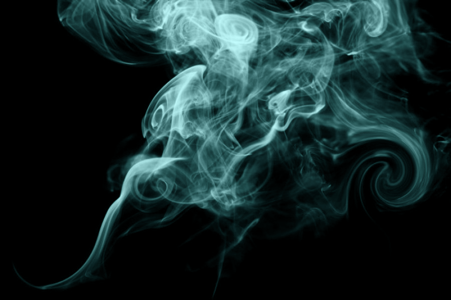 However, if someone is standing directly under a detector creating a generous amount of e-cigarette vapour, or they are in a confined space, then the density of particles entering the chamber might cause a smoke detector to go into alarm. Hochiki are renowned worldwide for manufacturing high quality, robust and reliable smoke detectors. We understand that false alarms are both disruptive and expensive, and as such we have incorporated a number of features in both our conventional and analogue smoke detectors that help protect against false alarms. For example, Hochiki detectors contain a honeycomb structured mesh that has been specifically designed to maximise smoke flow, and improve tolerance against insects, dust and steam. If steam (or vapour) comes into contact with the mesh, it is forced to diffuse through the mesh resulting in dissipation of particles, thus virtually eliminating the probability of a false alarm. For more information about Hochiki Fire detection, please visit www.hochikieurope.com. 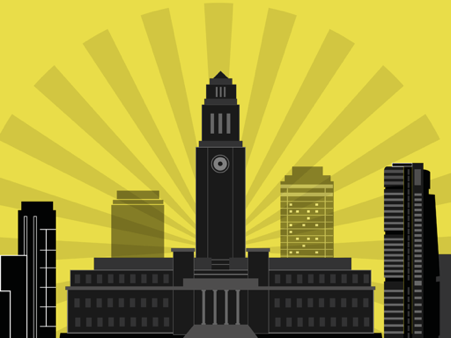 Do you know how to evacuate a multi-storey building on your campus? Evacuation procedures should be set in place along with designated trained staff that will assist those in need during the evacuation process. Those employees must undergo practical training in the use and operation of any evacuation equipment that may need to be used. They should practice using this equipment when an evacuation drill take place, which is recommended every six months. It is the employers or service provider’s responsibility to evacuate all people from a building in an emergency, as it is no longer the responsibility of the fire service to facilitate the evacuation of non-domestic premises. This is now outlined in the Regulatory Form Order for Fire Safety 2005, therefore illegal to plan a fire evacuation that relies solely upon the fire service being involved. Those who neglect proper evacuation measures for all employees, visitors, students or the mobility impaired can be found guilty of failing to provide a duty of care and can be charged with corporate manslaughter in work place cases. Pre-planning is therefore essential, ensuring the needs of all employees, visitors or the mobility impaired are identified and a Personal Emergency Evacuation Plan, known as a ‘PEEP’ or a ‘GEEP’, (General Emergency Evacuation Plan) is devised by the relevant person responsible to comply with the Fire Safety Order. The PEEP is tailor-made to secure the safety of the named individuals in the event of a building evacuation. It will explain the method of evacuation detailing the escape routes and identify those persons who will assist carrying out the evacuation and training or practice needs. It will also detail the refuge areas, where the mobility impaired can wait for assistance in evacuating the building safely. The relevant factors of the PEEP should be to inform the person for whom the PEEP is written of their responsibilities to cooperate; to indicate the actions that will provide for their escape; to establish what actions are required of the individual based upon their level of dependency; and to provide appropriate information to all concerned parties to enable them to carry out their duties in a time conscious manner. Can my wheelchair users be accommodated with Emergency Evacuation Chairs? How might my staff transfer the wheelchair user into an Emergency assistive Device? How do I establish if they state they don’t wish to be evacuated by using Evacuation devices? All very simple questions that wouldn’t want to be addressed during the real event where the fire time-line is being eaten into by every deliberation. The plan should be tested and used during regular drills, to ensure all staff involved are aware of the procedures and receive a copy of the relevant PEEP. When planning for an emergency in a public access building where mobility impaired or disabled people have total access, a PEEP would not be sufficient. The responsible person would need to devise a GEEP, to accommodate the needs of everyone. The time required to evacuate a small building that is not a high rise, wouldn’t normally be an issue due to passive fire protection. Therefore high rise buildings can present a number of challenges, the most obvious one being the potential distance needed to take to travel down the stairs to exit the building. These kinds of buildings set themselves apart from others that have a single stair case, due to the time it takes to get down multiple sets of stairs. Evacuation chairs have proved to be the most efficient and user friendly, enabling the operator and passenger to safely exit the building. Due to more than one person maybe needing assistance other types of evacuation product may be required such as slide sheets, rescue mats, or stretchers, in addition to evacuation chairs. All evacuation aids need to be located in a designated refuge point which is specified in the buildings fire strategy. Each fire exit has to accommodate the able bodied and mobility impaired therefore all equipment has to be readily available and accessible in the refuge point. In order to comply, the responsible person should obtain professional advice to establish exactly what is required of them. This will involve evaluating each floor in order to determine the quantity of each piece of evacuation equipment and the suitability, with sufficient equipment on each floor to stop people having to re-enter the building to help others. The key to ensuring you are prepared for any eventuality is to plan regular fire drills, which as a general rule should take place twice a year, where you should practice with your evacuation equipment like the Evac + Chair. An emergency evacuation can happen at any time without warning, so the practice of these fire drills can save time and lives in an emergency. Planning for an evacuation drill can be difficult, for example, a fire can break out during the early hours of the morning at a hotel. The best way to practice this is to recreate these difficult scenarios at a more appropriate time. Make sure that the staff at these times (which might be limited) are trained, for the most effective and safest way to evacuate those are able bodies and mobility impaired. This was evident at the 12th Green Gown Awards 2016, held at the Athena in Leicester, in partnership with De Montfort University (DMU) and University of Leicester. It was a celebration of remarkable sustainability initiatives, starring 21 Winners and 26 Highly Commended entries from 115 finalists representing 1.5 million students and 240,000 staff. With an audience of 390 sustainability leaders applauding sustainability excellence within tertiary education, the Green Gown Awards celebrated those that are making the radical change that is needed to make all our lives better. The evening was hosted by Mike Barry, Director of Sustainable Business, Marks & Spencer. Amongst others, Mike is a Visiting Fellow at the Smith Centre for Enterprise and the Environment at Oxford University, a Senior Associate at the Cambridge Programme for Sustainable Leadership and a chemistry graduate from Sheffield University. Mike said, "We stand on the cusp of great change in the economy and society. It is no longer enough to be a ‘less bad organisation’ focused on preventing the worst environmental and social excesses. Every higher and further education establishment, business and government department needs to be thinking about how we change radically our approach to education, commerce and politics to create a future that is low carbon, equal, circular, fair, restorative and committed to the wellbeing of all. The Green Gown Awards help identify these sustainability best practices and encourage the wider higher and further education system to scale up their use." Scotland stole the show for the Built Environment category with wins for South Lanarkshire College and the University of Aberdeen. With University of Aberdeen actively reducing energy use by going ‘passive’” which sees the first fully certified Passive House Nursery in Scotland and the first at a Scottish University. New appointments in the sector. 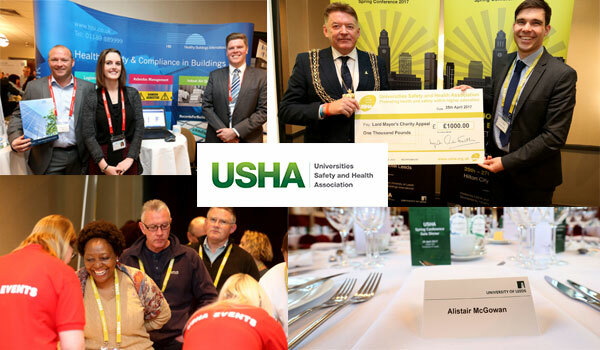 The Project Support Proposals enable USHA Specialist Groups and Networking regions to clearly set out the value the specific initiatives or activities, for our members and the sector, along with key milestones, the timeframe and resources required. This allows for the USHA Executive Board to comprehensively consider each PSP. The PSPs that are approved are monitored with the lead representative reporting to the Executive Board for support and guidance. Board dates for submission in 2017 are 8th February, 7th June and 1st November. Both the Right Honourable Norman Lamb MP Chair of the Cross Party Committee on Mental Health and Paul Farmer CBE Chief Executive of MIND spoke of the need to commission the right level of needs for mental health counselling with better transition from child to adult mental health support. Mr Lamb also went on to praise Nottingham Trent University for its Student Minds Initiative. The Assistant Director of Policy for Universities UK also spoke at the seminar. This major conference will look at the new horizons in higher education and health and safety’s role in securing continued success. We will also be hearing from Malcolm Brown MBE British Triathlon Performance Coach, who led the Olympic team, on building the dream. 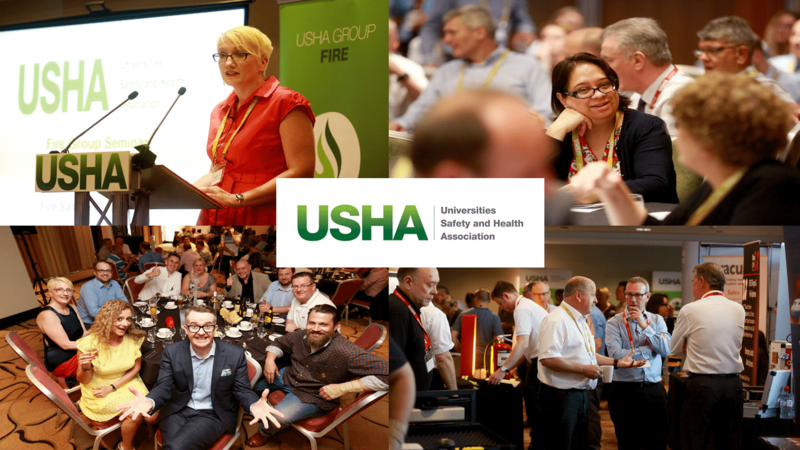 The sector's health and safety committee last month discussed the first year objectives of the new sector health, safety and wellbeing strategy.USHA is at the heart of many of the objectives and has happily put itself forward as lead for many. It's great to witness the many associations that make up the committee's membership so committed to delivering the strategy. USHA will be there to work alongside which really does capture one of the main areas I targeted over my tenure as your chairperson - greater and meaningful collaboration. At the meeting it was so pleasing to receive praise from many for a successful October seminar. As we move forward that praise only adds to the much feedback that continues to fully justify the decision we took with the theme and an area of work we feel USHA will certainly add significant value to. This newsletter captures the many exciting activities, both centrally and amongst our members, that are already in place for 2017. I'm sure you take much from those you get involved with. I'm now moving into the 'final furlong' as your chairperson. It's been a true honour however without those who give up their time to serve on the executive the success of the association would not be possible. I owe the current executive and those before massive gratitude. Please do have an enjoyable Christmas and wishing you all the best for the New Year.